At an event today, Verizon Wireless announced its newest flagship smartphone, the Droid Turbo, which goes on sale in the US on October 30. The device packs premium specs with a 48-hour battery, 2.7GHz Qualcomm Snapdragon 805 processor, 3GB of RAM and a 21MP camera. The Droid Turbo is also designed to be extremely rugged, using ballistic nylon and a metallized glass fiber for its back materials. Verizon is also offering a screen guarantee that will give customers one free screen replacement during their contract period. The device includes a 5.2-inch, quad-HD display, while the camera features dual-LED flash and can record 4K video. The Droid Turbo supports Verizon’s “XLTE” AWS network, which promises twice the bandwidth of traditional 4G LTE. It also comes with a number of Motorola-specific features, such as Moto Voice, active notifications and Moto Assist. The 32GB version comes in three colors, metallic black, metallic red and ballistic nylon, and costs $199 on contract. A high-end 64GB ballistic nylon version costs $249. 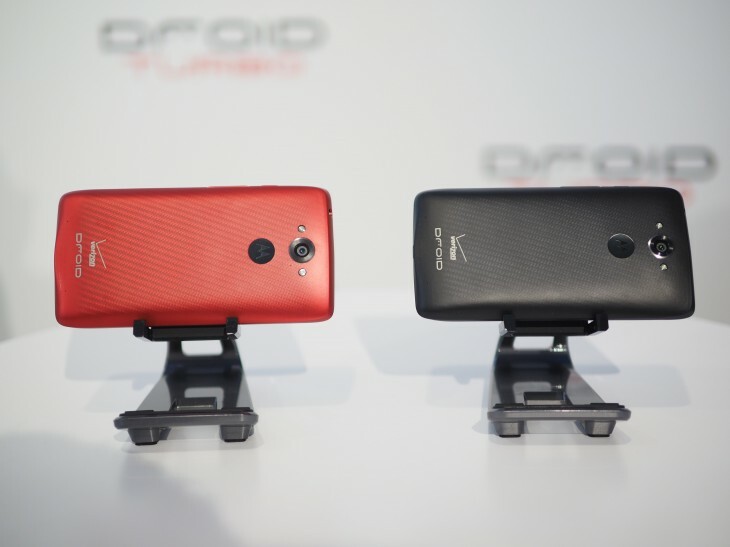 Rounding out the lineup, last year’s Droid Mini model is free with contract and the Droid Maxx will cost $49. Last year’s Droid Maxx already pushed battery life forward with its 3,500 mAh battery, and the Droid Turbo features an even greater capacity of 3,900 mAh. A quick-charging feature can add eight hours of battery life in 15 minutes. Verizon is also offering $100 minimum trade-in promotion for the Droid Turbo. The operator is waving upgrade and activation fees. Edge customers who haven’t upgraded since July 1 of this year can get an early upgrade for the Turbo.